“I thought we hung on well, all things considered we mustn’t be too disappointed; a point here gives a chance to build for the future,” said Roy Hodgson speaking after England’s 1-1 draw with Montenegro on Tuesday night. 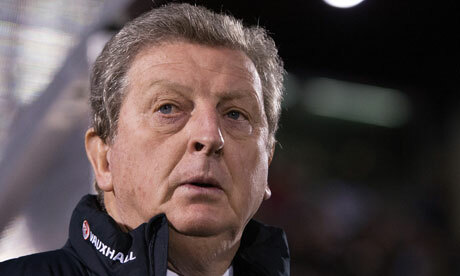 Hodgson, the master of lowering expectations, was at it again in Podgorica. There are people who claim that an away draw at international level should never be grumbled at, and of course, they have a point, but Hodgson’s reaction to a stalemate against a team with a national population of just over 600,000 was irritating at best, baffling at worst. Of course, Hodgson has previous for these sound bites that reveal an exasperating inferiority complex; regardless of what team he is managing. “I watched the performance and the second half was as good as I saw a Liverpool team play under my management that is for sure,” opined Hodgson, to the incredulity of all who follow the five-time European Cup winners. Hodgson had earlier that campaign gave an almost comical response to a question put to him after a 3-0 defeat to Manchester City. Neuchatel Xamax, Orebo and Halmstads? To use such sides as a reference point to defend his managerial record was beyond belief to many who sat at the Etihad Stadium, watching Roberto Mancini’s side dismantle the Reds. Hodgson has also flourished with this kind of Basil Fawlty-esque take on media handling in the role of national manager, particularly when criticising Wayne Rooney immediately after a quarter-final penalty shootout exit at the hands of Italy at Euro 2012. Asked if the Manchester United striker was struggling for fitness after missing the first two Group games through suspension, the former Fulham boss dismissed such suggestions and claimed that Rooney simply was playing far below his level. “In the first game against Ukraine he didn’t show any particular signs of lacking fitness. 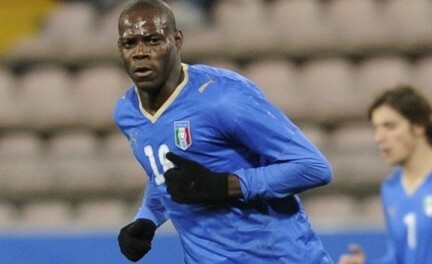 He played 120 minutes [against Italy]. A masterclass in how to alienate your best player, minutes after a demoralising exit from a tournament that dominated two years of his international career. The truth is, Hodgson had already worked his special brand of expectation-lowering before he had even picked a first XI for the Three Lions. Pipping red-hot favourite Harry Redknapp to the role of manager back in April 2012, many fans and pundits alike accepted that the forthcoming European Championships would be a write-off – a chance for Roy to experiment and blood some youngsters into the senior fold for experience, that may serve them well for future tournaments. It was a majestic way of disarming a perpetually over-exuberant fanbase before a major tournament. Had Redknapp, who was forging a reputation as the darling of English football at the time, taken over as England chief, the nation would have been awash with optimism heading into the tournament, as the-then Tottenham Hotspur manager was riding high at White Hart Lane. Of course, expectation levels would have risen unrealistically high, but would that have been any worse than accepting that a team comprised of players playing for some of the biggest teams in the Premier League every week will fail miserably? We suspect that the truth is, Redknapp was not offered the job at Wembley due to the reported £10m compensation package that Spurs chairman Daniel Levy wanted for the services of the-now Queens Park Rangers boss. 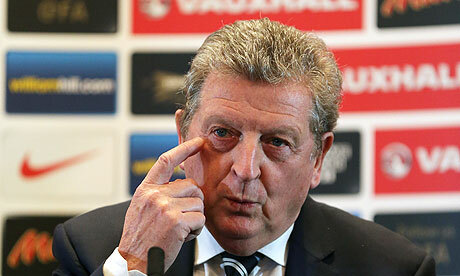 Hodgson was even playing down his chances before he first sat in front of the press as national manager. “A difficult job” indeed, one that he is not making any easier for himself or his team. 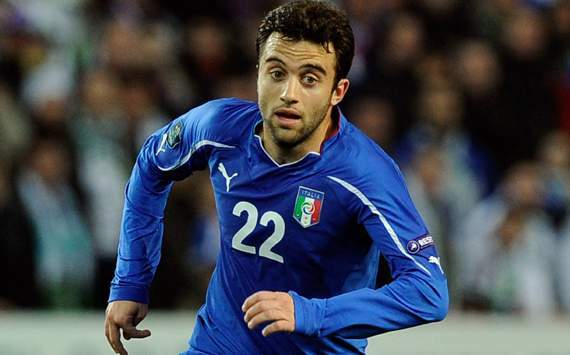 England were eliminated from Euro 2012 by Italy on Sunday night, with the Azzurri rightful winners. Despite a one-sided game it took penalties kicks to confirm Italian progression, with Ashley Young and Ashley Cole off-target. One player stood out above the rest in the form of Andrea Pirlo. The veteran is certainly one of the best deep-lying playmakers in world football, and his ability on the ball, range of passing and ability to keep his side in possession shone through. Pirlo’s poise on the ball was in contrast to the dogged but wasteful Steven Gerrard and Scott Parker, and shows the technical gulf between English football and some of their European rivals. The Three Lions simply did not have a midfield general to run the show this summer, which is unlike all other nations – Schweinsteiger, Xavi, Moutinho etc have shown the importance of this at Euro 2012. 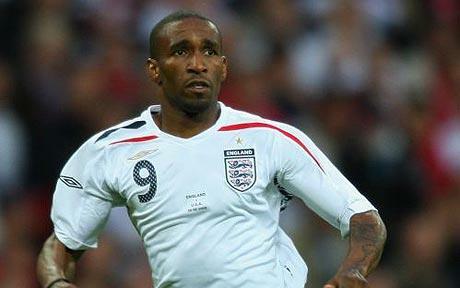 And then, there was this…..
England overlooked XI: How well would this bunch do at Euro 2012? England put in a gutsy and relatively composed performance against France in their Euro 2012 opening fixture, with Roy Hodgson’s men recording a 1-1 draw against Les Bleus in their first game in Group D. Despite this, some of the new manager’s squad selections have been queried; here is an alternate England XI that was overlooked. GK – Ben Foster – Opted to retire from international football due to past disappointments, the Birmingham man proved a consistent performer for West Brom last term. LB – Kieran Gibbs – Potential in spades, Gibbs is one of Arsene Wenger’s youth projects and could well play a role in the national set-up after Ashley Cole’s days are done. RB – Micah Richards – Despite being an important player at the Etihad Stadium, Richards seems to have done something to annoy the powers that be at the FA. CB – Ledley King – In this fantasy team lets pretend King is fully fit and functioning. Rolls Royce of a football player. LW – Adam Johnson – A victim of Roberto Mancini’s star-studded squad, the former Middlesbrough winger has the ability to deliver if he is in the mood. RW – Aaron Lennon – One of the surprise omissions, Lennon’s blistering pace and penetration is vital at White Hart Lane, and could have been for the Three Lions too. CM – Paul Scholes – Mercurial, masterful, magic but getting old, Paul Scholes is one of the best players to play in the Premier League over the last 10 years. Fact. CM – Michael Carrick – Has been overlooked once more even though he starts most weeks for Manchester United. In England’s little black book alongside Richards. ST – Grant Holt – The Norwich targetman proved a right handful for Premier League defences in 2011-12, and he netted 15 goals. 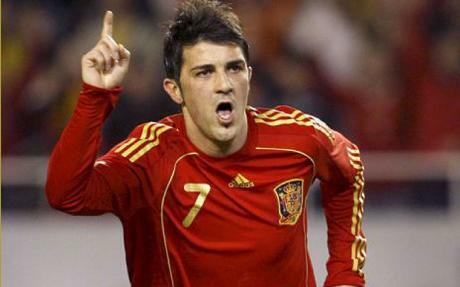 The Italians or Spanish in the knockout stages wouldn’t have enjoyed encountering him for the first time. ST – Daniel Sturridge – Was an important player for Chelsea under AVB, but lost his way in the second half of 2011-12; still a talented player and one for the future for England. When Roy Hodgson was named England manager many pundits commented that he was a conservative manager, who would play it safe in his squad selections. His 23-man squad for Euro 2012 has blown this theory out of the water though, with some big decisions made and a couple of surprise selections. The selections of Joe Hart and Robert Green are no surprise. Hart has firmly established himself as one of the best and most confident keepers in Europe, whilst Green has had another consistent season at West Ham and is a very able back-up. The inclusion of John Ruddy, ahead of Scott Carson and David Stockdale, has come as a surprise though. Loaned out by Everton to nine clubs, he has finally found a home at Norwich City and has come into his own. A number of the defenders picked themselves. At right-back Glen Johnson has been a regular member of the squad for a number of years, whilst Hodgson is also blessed with two fantastic left-backs in Ashley Cole and Leighton Baines. Gary Cahill has earned his place with solid performances over the last year for club and country while Joleon Lescott has been one of the unsung heroes in Manchester City’s title winning campaign. Phil Jones has had an up-and-down season for Manchester United, but continues to show great promise and also has the versatility to play at right-back as well as centre-back. The major talking point though has been the inclusion of John Terry and the omission of Rio Ferdinand. The Manchester United man has only made one England appearance in the last year and his form and constant fitness issues have clearly had a major impact on what Hodgson describes as a “footballing decision”. 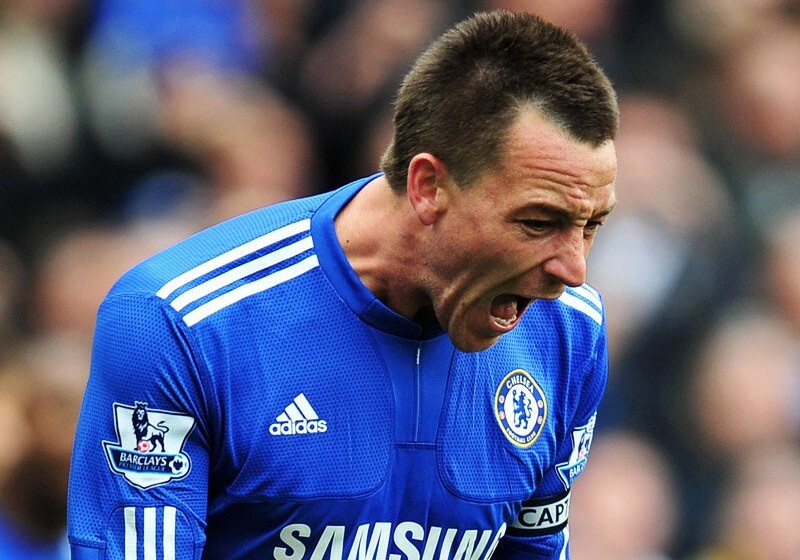 Many people will also wonder whether having Terry in the squad will cause problems in the dressing room. The fact is though, Terry has performed better than Ferdinand this season and if it was a straight choice between the two, Terry was always going to be the winner – Hodgson has made the correct choice. In midfield Hodgson has gone for a blend of youth and experience. Steven Gerrard and Frank Lampard have the drive to lead from midfield and also are consistent performers for their clubs. With being named captain as well, the Anfield talisman can provide great inspiration and leadership as he does for Liverpool. Gareth Barry and Scott Parker will provide a solid base for the midfield whilst James Milner can play any of the four midfield positions and even right back if need be. Theo Walcott has improved considerably for Arsenal in the second half of this season both in front of goal and in terms of his composure with his final pass or cross. Ashley Young has had a good first season with Manchester United and his willingness to run at his opponent and his excellent set piece delivery made him an easy selection. Stewart Downing however is a baffling selection. Whilst he is the only natural left-footed winger in the squad, his record of no Premier League goals or assists all season is a major cause for concern. Another shock inclusion is Arsenal’s Alex Oxlade-Chamberlain, but it would be unfair to compare this selection to that of Walcott for the 2006 World Cup. Chamberlain has proven his ability in the Champions League this season, and his performance in the centre of midfield against AC Milan at home was hugely impressive. Of the forwards, Wayne Rooney is an easy choice despite the fact he misses the first two games. Danny Welbeck has impressed in partnership with Rooney this season and is skilful, quick and has shown absolutely no fear of any centre-back pairing. Jermain Defoe remains one of the most natural goalscorers in the country and with Darren Bent unfit he had to be in the squad. The shock choice in the attackers is Andy Carroll. Despite impressive performances in the final few games, Carroll only scored six goals in his first 40 games of this season and despite three in his last seven he needs too many chances to score a goal and you do not get these at international level. Apart from the obvious omission of Rio Ferdinand there are a few other players who will feel they are unfortunate to miss out. Micah Richards has been very consistent this season and a big part of Manchester City’s success. Michael Carrick has been impressive in the second half of the season and England may well miss his range of passing and ability to control the pace of the game. Aaron Lennon and Daniel Sturridge will feel unfortunate to lose out to Stewart Downing as both have provided more goals, assists and better performances than the Liverpool man. Paul Scholes meanwhile was thought to be interested in coming out of international retirement, but the 37-year-old was not deemed worthy of a place. England have been drawn against old enemies France in Group D of Euro 2012, and the clash on June 11th will have a major bearing on each side’s chances of progression in the tournament. With a month to go before the nations do battle the Three Lions are slight favourites, but it should be a close encounter. With Sweden and Ukraine in the pool also, both teams will look to get an early advantage in the competition. With the domestic campaigns drawing to a close in the Premier League and Ligue 1, Laurent Blanc and Roy Hodgson will have their squads for the tournament all but decided, with a few decisions potentially still to be made. Les Bleus coach has named a strong looking provisional squad, with a raft of English-based players included, whilst the West Brom man has revealed that he will name his contingent on Wednesday. Despite the full tournament squads yet to be announced, the main players for both sides are known and will play a key role in deciding the outcome of the encounter. France have a good blend of young talent and experienced heads, and their strength lies in central midfield and in a couple of talented individual attackers. The battle for possession in the centre of the park will be a key element to deciding the outcome, with Blanc able to choose from Yohan Cabaye, Yann M’Vila, Alou Diarra and Morgan Amalfitano in the heart of his midfield. Scott Parker will have a role to play in breaking up the French passing game, whilst the likes of Steven Gerrard or Frank Lampard will look to mix it with their opponents. French matchwinners include skilful wingers Franck Ribery, Samir Nasri and Hatem Ben Arfa, whilst the goalt-hreat will be provided by Karim Benzema. England’s full-backs must monitor the widemen carefully, with a big responsibility falling on Kyle Walker, Micah Richards or Glen Johnson’s shoulders to shackle Bayern Munich superstar Ribery. The centre of the English defence will also be wary of giving Benzema space, as the Real Madrid man is one of Europe’s form strikers currently. Going the other way, new boss Hodgson will be without his talismanic forward Wayne Rooney due to suspension, and has key decisions to make in attack. With Darren Bent still on the sidelines with injury and on the borderline of missing out, no other centre forwards shout out as sure things. Hodgson will consider the likes of Danny Welbeck, Daniel Sturridge, Jermain Defoe, Andy Carroll and maybe even Peter Crouch to lead his line, but the English attack will be limited due to Rooney’s absence. The eventual England squad should have pace to burn however, with widemen Ashley Young, Alex Oxlade-Chamberlain, Theo Walcott and Aaron Lennon all with the necessary speed to harry the French defenders. There is also a case for Paul Scholes’ inclusion to add a bit of creativity to the side, but Hodgson will look to his wingers to provide the necessary penetration. The game is sure to full of natural pride and passion, but England must compete with the technical abilities of the France side to get a result. The odd goal may well decide this game, but it should be an exciting and enthralling match. 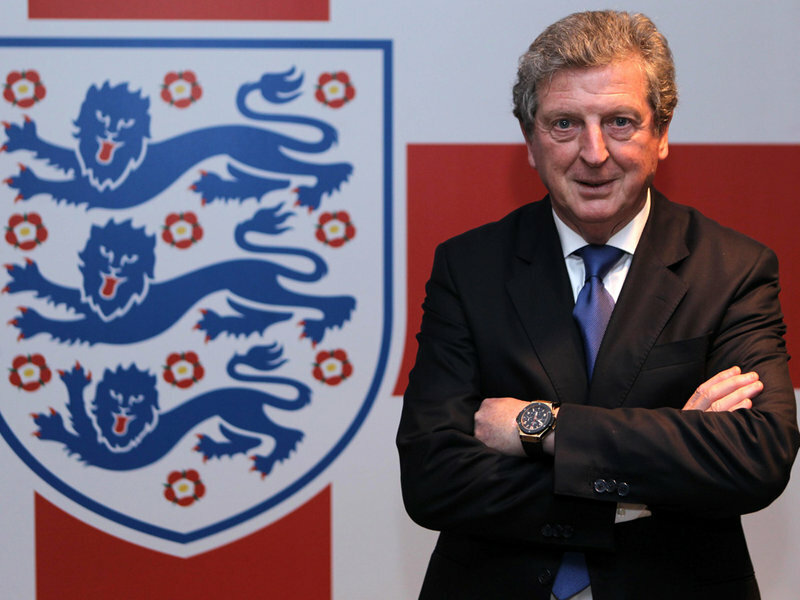 Roy Hodgson: Is this surprise selection the man to lead England to glory at Euro 2012? 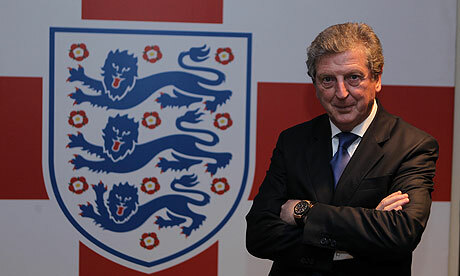 Roy Hodgson has been announced as Fabio Capello’s successor with the countdown to Euro 2012 well under way. The FA have taken a considered and patient approach in finding the next Three Lions boss, but with Tottenham’s Harry Redknapp also thought to be keen on leading the nation, have the governing body made the right choice? The expectancy of England to perform wonders in Ukraine and Poland is not as high as in the lead-up to previous international tournaments, and Hodgson’s appointment will not inspire any additional confidence in the travelling supporters. With nations such as Spain, Germany and Netherlands expected to lead the way this summer, the West Brom boss will need to get the best out of his squad to stand a chance of making the final stages of the tournament. Even before Capello walked away from the role with the home nation, Redknapp has been the frontrunner and favourite to lead the nation due to his excellent achievements at White Hart Lane. It seemed like a matter of when rather than if the Spurs boss would assume the role, with the media brewing up a storm in a teacup in backing the north London manager. However, given careful consideration, maybe there is rational thought behind the selection of Hodgson. Despite a terrible and brief stint at Liverpool, he has transformed West Brom’s fortunes and taken a mediocre squad away from relegation against the odds and into the safe-haven of mid-table. The Hawthorns supremo has been praised for his man-management skills and careful approach, whilst he also has experience of international football. Redknapp is perceived as more of a club manager, who enjoys the wheeling-dealing of the transfer market and daily interaction with players. Hodgson will not be the first surprise, unlikely or second-choice man to fill the national void, after the likes of Steve McClaren and Terry Venables got the top job unexpectedly. The fortunes of the latter certainly outweighed that of the former, but for England to excel this summer Hodgson must dispel any rumblings over his worth and selection. With the competition kicking off in a month’s time and the selection of the squad in around a week, Hodgson has work to do, and will not necessarily thank the FA for the short timescales to get organised and comfortable in the role. Fixtures against France, Sweden and Ukraine in Group D will test England’s ability and resolve, and the FA will hope that their choice of boss will be vindicated come the final on July 1st. England and Euro 2012: Who will be in the squad, and how will they fair in Group D? England interim manager Stuart Pearce has this week revealed that the nation’s squad for Euro 2012 will be named before the end of the Premier League campaign, whether a new permanent boss is in place or not. With the last game of the season on Sunday 13th May, it is reasonable to expect the successful and unsuccessful players to be unveiled a couple of days before this. With this date only two weeks away, who will be stepping out for the Three Lions in Ukraine and Poland? Goalkeepers – Joe Hart is a shoe-in, and the Manchester City stopper is an outside shout to be the next national captain. Consistent, agile and assured, Hart is a real attribute to the home nation. Defenders – John Terry’s inclusion or exclusion could well depend on the new boss, with the consideration of Rio Ferdinand also entering into the equation; the Chelsea centre half is to stand court for racially abusing the Manchester United man’s brother Anton. Other central defenders to be included should be Gary Cahill, Phil Jones and Joleon Lescott. At left back Ashley Cole will travel, whilst Leighton Baines is currently injured but will recover in time. On the right, PFA Young Player of the Year Kyle Walker will expect to be included, as will seasoned international Glen Johnson. Micah Richards has been an outcast under Fabio Capello, but under-21 boss Pearce would surely select his former player, potentially to the detriment of the Liverpool man. Midfielders – England will most likely play four across midfield, and this will be the most tightly-contested element of the squad. Scott Parker and Frank Lampard are almost certainties, Steven Gerrard hangs in the balance depending on fitness, Paul Scholes is an outside shout, whilst Tom Cleverley, Jack Rodwell and Jack Wilshere will miss out through injury. On the flanks, Ashley Young will travel if he stays fit, as will Stewart Downing despite an inconsistent campaign. Aaron Lennon needs to get back to his best, Jordan Henderson looks unlikely whilst Arsenal team-mates Theo Walcott and Alex Oxlade-Chamberlain may well be in direct competition for a place. Strikers – Although Wayne Rooney will be suspended for the first two group games of the tournament, it will take a brave manager to leave out the Manchester United forward. Darren Bent faces a risk against time due to his knee injury, whilst Andy Carroll will need a strong end of season to convince the selectors. Danny Welbeck and Daniel Sturridge should be included, whilst Jermain Defoe is a 50-50. England vs France, June 11: Old enemies renew their rivalry in the Group D opener, and these two will be favourites to progress. Without Rooney England may lack direction in attack, and will need to be regimented to stave off the advances of Ribery, Benzema and Remy. England vs Sweden, June 15: The Three Lions have suffered disappointment against the Scandinavian nation in international competitions in the past, and Sweden are a slightly unpredictable entity. Led by AC Milan’s Zlatan Ibrahimovic, the Swedes will be no pushover. England vs Ukraine, June 19: With a tight group likely to go down to the wire, England will face co-hosts Ukraine in the last round of fixtures in what will be a test of their character and resolve. 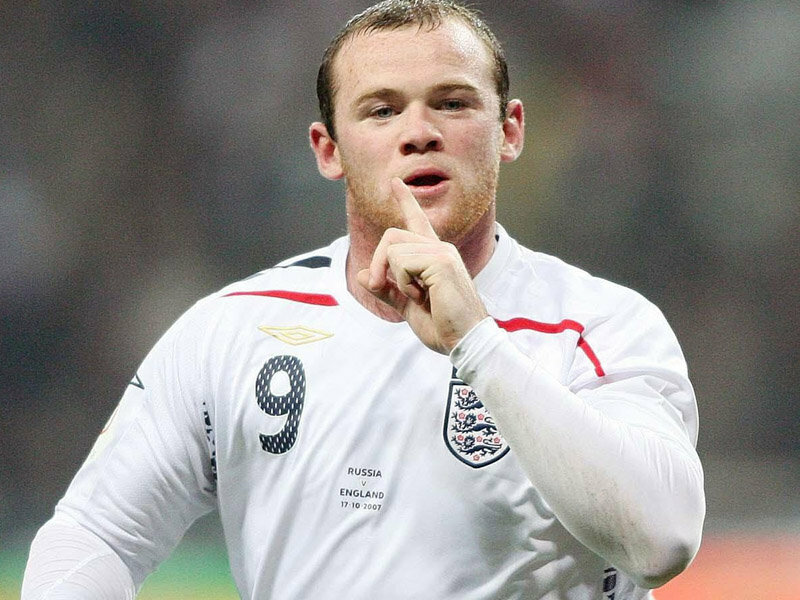 Rooney’s return will be a boost, but England must be at their best to quell a pumped-up opponent and crowd. 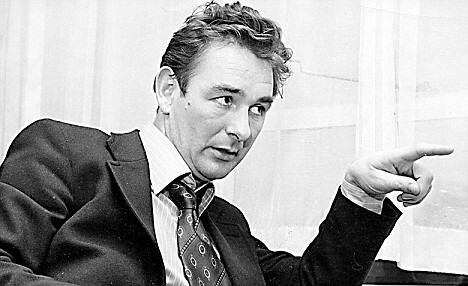 Was Brian Clough the best manager England never had? With the England manager’s position currently available, and a recent track record of over-paid and under performing foreign managers, the nation is crying out for a talisman to lead the side to Euro 2012. However, despite Harry Redknapp being the favourite to land the role, less distinguished names such as Roy Hodgson, Nigel Adkins and others have been listed as potential home-grown coaches that could inspire the country to glory. Looking back in time, Brian Clough must be one of the most successful English managers not to be given a chance at training the national side; but why? As a player, Clough was a lethal striker, bagging an amazing 251 goals in 274 appearances for Middlesbrough and Sunderland, before retiring with a knee cruciate injury. The fact that the marksman only got two England caps as a player seems unfair given the attacker’s potency in front of goal. Universally seen as a hard but fair manager, Clough started out his career on the bench at Hartlepool before moving to Derby County with assistant Peter Taylor in 1967. Clough led the Rams to promotion from the then Second Division to the top flight, and won the club’s first Division One title in 88 years in 1972. Before resigning from the Baseball Ground club in 1973, the outspoken trainer led the side to the European Cup semi-finals and his departure was taken badly by the fans who demanded that the board resign and Clough be reinstated. The first opportunity for Clough to be considered for England manager came in 1974, but Don Revie of Leeds United was given the position, and Clough took his position at Elland Road. Less than two months later he was sacked for falling out with the board and alienating some of the leading players such as fiery Scottish midfielder Billy Bremner. He went on to manage Nottingham Forest from 1975 until his retirement in 1993. With Taylor at his side, the pair led Forest to promotion from Division Two to the top flight, and won the English Division One and the League Cup in a mesmerising first season back amongst the elite. This stunning achievement was backed up with two consecutive European Cup triumphs, which will never be forgotten at the City Ground. The club also went unbeaten for a record at the time 43 league games. Don Revie had resigned from the England job in 1977, right when Clough was in the most successful spell of his career, but the FA overlooked him in favour of Ron Greenwood. When the former West Ham boss stepped down from the role with the Three Lions in 1982, Clough was again shunned in favour of Bobby Robson, despite it being common knowledge that he was eager to manage his nation. Clough’s track record of falling out with chairman and board members, his outspoken nature on national television, radio and in the papers, plus his forward and at times aggressive personality counted against him in his ambitions to manage England. Old Big ‘Ed’s record of success cannot be overlooked however, and his achievements will go down in history. Before his death in 2004, Clough admitted that he felt that the FA were concerned that he would ruffle too many feathers if he was to manage the nation, but the current setup would jump at the chance to employ a home-grown boss of his calibre. John Terry on his day is one of the best central defenders in the Premier League, and certainly an important player for Chelsea and England. 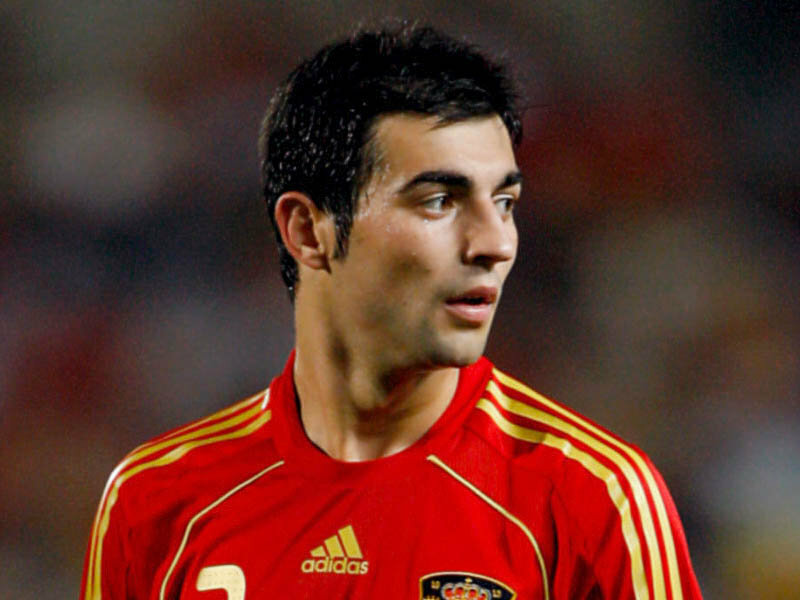 However, the 31-year-old is in danger of missing out on Euro 2012, after being stripped of his nation’s captaincy due to the ongoing allegations of racism against the Barking-born man. This, for sure, is not the first controversy to blight Terry’s career, as the following rap sheet shows. Fined two weeks wages for drunkenly mocking American tourists in Heathrow Airport in the aftermath of the terrorist attacks of 9/11. Charged with assault and affray after a confrontation with a nightclub bouncer in January 2002, Terry was suspended from England duty and subsequently missed out on the 2002 World Cup. He was later cleared of wounding with intent to cause grievous bodily harm, unlawful wounding, possessing a bottle as an offensive weapon and affray. In February 2002 Terry was caught on CCTV urinating into a beer glass and dropping it on the floor of an Essex nightclub. Fined £60 for parking his Bentley in a disabled bay. In 2004, Terry was reported to have gambled up to £40,000 a week on horse and dog racing with Wayne Bridge and Scott Parker. Sent off against Tottenham in November 2006 at White Hart Lane, and accused of racially abusing Ledley King. Questioned the integrity of referee Graham Poll, and was later fined £10,000 for inappropriate conduct. Before marrying Toni Poole in 2007, admitted to cheating on his partner up to eight times. Jenny Barker, 17, claims that Terry cheated on Poole with her in a public car park. Investigated by Chelsea and the FA for reportedly accepting a £10,000 bribe to show a reporter around the London club’s training ground without permission in 2009. In 2009 the centre back’s father Ted Terry was filmed allegedly selling cocaine to an undercover reporter, months after his mother, Sue, and mother-in-law had been cautioned for shoplifting. In January 2010 Terry was alleged to have had a four-month affair with Wayne Bridge’s girlfriend Vanessa Perroncel. Bridge was deemed as one of Terry’s best friends, and Perroncel was the mother of the left back’s child. Fabio Capello stripped Terry of the England captaincy due to the scandal, handing it to Rio Ferdinand. Accused of racially abusing QPR defender Anton Ferdinand in a 1-0 defeat for Chelsea at Loftus Road in October 2011. Investigated by the FA and police, Terry will stand trial in July 2012. Stripped of his country’s captaincy for the second time. Terry may well look back at the above list with shame and regret once his playing days are over, as the constant controversies in his life have taken away from his ability on the pitch. With England producing some exciting young defenders in recent times, Euro 2012 could be Terry’s last swansong at a major international tournament, but his involvement is now not assured due to his July court date.